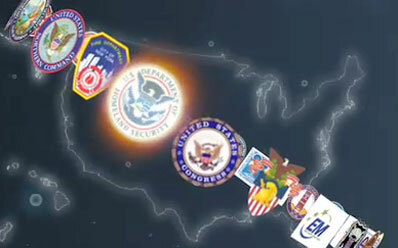 A 30 second motion graphics piece used for the opening ceremony for the Center of Homeland Defense and Security's five year anniversary. Moving pictures project moving of emotions. Harmony can be defined as different patterns, elements, and rhythms co-existing together to form a perfect union. When this is achieved in media, you are able to project emotions and thoughts that ordinary text and images could never dream to become. As a graphic artist, I approach each project with the simple notion of allowing the elements to live and play with each other in perfect harmony. Come experience the different mediums in which my creative expression and structural sophistication come together to cultivate and celebrate the wonderful world of human communication.